ADDRESS BY DR BROOK BARRINGTON, NEW ZEALAND AMBASSADOR TO THAILAND AT HELLFIRE PASS DAWN SERVICE ANZAC DAY 2009.. Author: DR BROOK BARRINGTON Veterans, Families of Veterans, Excellencies, Ladies and Gentlemen. ANZAC Day is a day when trans-Tasman cousins stand shoulder to shoulder, just as they did ninety-four years ago. That is true enough, and important. But in the midst of that ANZAC solidarity I want to acknowledge that this is hallowed ground for Australia. The far off echoes you hear when you sit here quietly in the dark come from Australian pain. The distant cries you hear come from Australian hearts. Whether you are religious or not, this cutting represents something which goes beyond our ordinary lives. Men – many of them no more than boys – lived and suffered and fell and died here. Where we stand. Memories of home – of shimmering heat and cicadas and cold beer – sustained life here, and were lost here. Where we stand. The best of what it is to be an Australian – tough, generous, laconic, quick to laugh, to lend a helping hand, decent, unflinching – these values were tested here. Where we stand. And they were not found wanting. 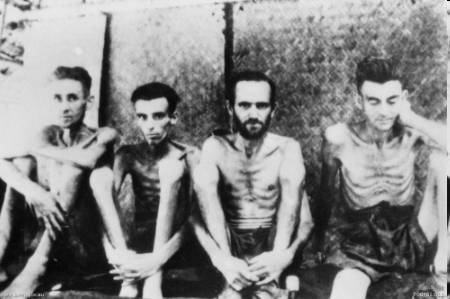 Australian and Dutch POWs from the Thai Burma Railway The victims of the Burma-Thailand Railway came from many lands. They, and all those others who have served their country in time of war, remind us that the peace we now enjoy has been paid for in blood, and in sorrow. As dawn breaks, full of hope and renewal, we especially remember all of those Australians who sacrificed their lives for their friends, and for peace. There can be no greater gift. This New Zealander, honoured to be in this place, thanks them for it.